Owing to the rapid growth in the automobile industry, the world receives millions of scrap tyres each year. Increasing volumes of scrap tyres causes many environmental problems that are resulted from the followed disposal methods of worn-tyres such as burning or piling up in landfills. Burning the waste tires releases toxic fumes that pollute the air and can contaminate the soil and water. Similarly, storing the waste tyres in landfills for a long time may result in many environmental and health problems: the stockpiled tyres provide a breeding medium for mosquitoes and other pests, which can cause many diseases to become widespread. 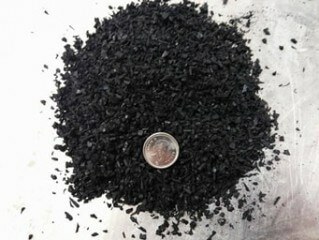 Utilizing recycled rubber derived from scrap vehicle tyres in civil engineering applications such as concrete production represents an effective technique for using huge volumes of waste materials safely. This reuse promotes the development of eco-friendly buildings and encourages the concept of sustainable production, which is receiving greater attention nowadays. In addition, the low density of rubber aggregate compared to a conventional aggregate can significantly contribute to the development of semi-lightweight and lightweight concrete, which helps to reach a more economical design. The above advantages can be amplifies when rubber aggregate is used to develop self-consolidating rubberized concrete (SCRC). The development of SCRC combines the beneficial effects of rubber aggregates and the desired properties of self-consolidating concrete, such as spreading and filling the formwork under its own weight without applying vibration, which can fix the problem of concrete flowing through congested reinforcements. In the last two decades, significant research has been involved in using shredded and/or crumb rubber (CR) as a replacement for coarse and/or fine aggregate. Most of the studies conducted on the use of waste rubber in concrete have reported that utilizing rubber aggregate can be a potential alternative way to enhance the ductility, strain capacity, impact resistance, and energy absorption of concrete. However, increasing the rubber content negatively affects the mechanical properties of concrete. This reduction in the mechanical properties is attributed to two possible reasons: (i) the lower modulus of elasticity of rubber aggregate compared to hardened cement paste and (ii) the poor adhesion between the rubber particles and surrounding mortar. These reasons encourage many researchers to suggest many approaches to alleviate the reduction in mechanical properties due to the inclusion of rubber aggregates. Some studies proposed that the mechanical properties of rubberized concrete can be enhanced by using chemical pretreatment for the surface of the rubber, which enhances the adhesion between rubber and cement paste. Previous studies recommended different treatments, such as the use of polyvinyl alcohol, sodium hydroxide, and sulfur compounds. However, even after treatment, researchers observed insignificant enhancement in the mechanical properties of rubberized concrete. Other researchers suggested that using supplementary cementing materials such as silica fume and metakaolin can compensate the reduction in the mechanical properties resulted from adding waste rubber. Although there is an active research on using rubber aggregate in concrete, most of studies have focused on evaluating the effects of rubber aggregate on the mechanical properties and durability of concrete using small-scale specimens such as cubes, cylinders, and prisms. On the other hand, full-scale testing to study the applicability of this type of concrete for structural applications is significantly lacking, especially when SCRC is used. Aiming to fill this gap and investigate the applicability of using waste rubber in structural applications, research in the Department of Civil Engineering at Memorial University of Newfoundland has been experimentally studying the effect of rubber aggregate, especially CR as a partial replacement of fine aggregate, on structural behavior of reinforced concrete beams. Twelve full-scale beams made with self-consolidating concrete and vibrated concrete mixtures were tested under flexural loading. The investigation included evaluations of the impact of CR on the flexural capacity, cracking behaviour, load-deflection response, concrete strain/stiffness, ductility, and toughness of the tested beams. The beams’ mixtures were developed with variable percentages of CR (0% to 50%) using different binder content, addition of metakaolin, and/or utilizing air entrainment. The investigation also discussed the performance of some code-based equations in predicting the ultimate flexural capacity of the tested beams. Based on the results obtained from the investigation, it can be concluded that as the percentage of CR increased from 0% to 50%, the first crack load, concrete’s stiffness and beams’ flexural stiffness generally decreased. On the other hand, Utilizing up to 20% CR can improve the beam’s deformation capacity, ductility, and toughness with insignificant effects on the ultimate flexural load. Further increase in the addition of CR (20% to 50%) appeared to limit the ability of beams to experience high deformation and absorb more energy, thus resulting in a reduction in the ductility and toughness of the tested beams. Increasing the percentage of CR more than 20% appeared to affect the conservative estimation for the beams’ moment capacity based on the current ACI 318-08 and CSA-04 design codes. However, ACI 318-08 and CSA-04 can be used to obtain a conservative estimate of the ultimate moment capacity and also to provide adequate load factor against failure. Researchers at Memorial University of Newfoundland believe that the results from this investigation will contribute to the enhancement of SCRC performance and will be very useful in developing SCRC with promising potential for structural applications. The research can be found in a paper titled “Performance of Full-Scale Self-Consolidating Rubberized Concrete Beams in Flexure”, published by ACI Materials Journal.